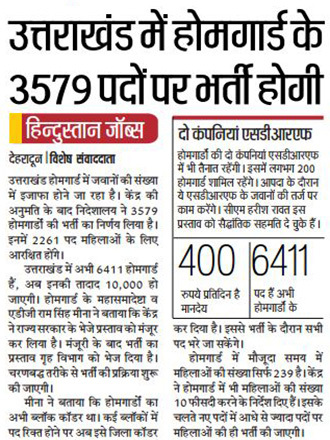 State govt is going to recruit 3579 home guards for Uttarakhand State. 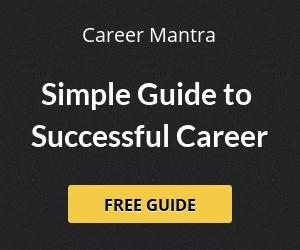 In 3579 post, 1328 posts are for male candidates and 2261 posts are for female candidates. 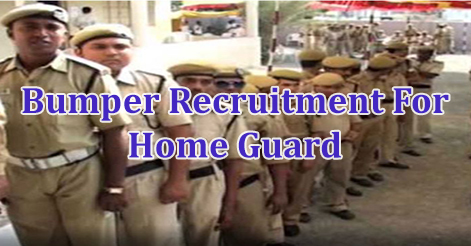 Recently state government has given it’s approval for the recruitment procedure of Home Guard. According to the stats total 6144 home guards has been recruited till now, very soon they will be 10,000 in numbers. Now department has started to work to increase the number of home guards in Uttarakhand. It will be a great opportunity for all unemployed youth to get a govt job in state. Two companies of home guard will be deployed in SDRF. Approx 200 home guard will be appointed for this process , they may also work like SDRF personnel during disasters, which will also helpful for the auxiliary functions. Home guards will get paid on the basis of per day enumeration of Rs 400. This recruitment also increase 10% post of women candidates, as the center govt has ordered to increas the number of female home guard. Help us to improve this article/job posting "Bumper Recruitment For Home Guard". We would be glad if you can comment below and provide your valuable suggestions and feedback. If this page have any wrong information/list or out of context content, then you can report us as well. What is the qualifications for HG? Sr.I’m 10th class pass from UK bord.and iti pass on fitter tred in 2014. How to apply home guard bharti.plss infrom me.